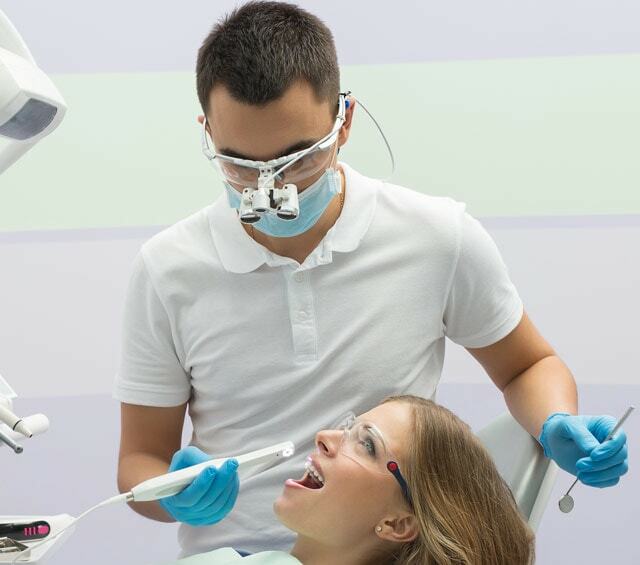 Loupes are well-suited in the dental practice for delicate work, jaw surgery or implant dentistry. Binocular loupes are particularly lightweight and have excellent optical properties. With Praxisdienst, you will find the optimal loupes for your needs at attractive prices. from 935,00 EUR* Not ready for shipping. Reserve today and we will ship as soon as possible. 776,00 EUR* Not ready for shipping. Reserve today and we will ship as soon as possible. Loupes are used in dental medicine to magnify the exam or operational field. In addition to optical properties, comfort and weight are meaningful. At one time, the combination of loupes and glasses was very uncomfortable for the wearer, due to the heavy oculars and the inflexible temples. 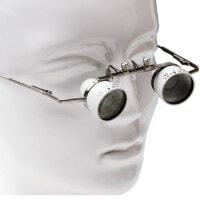 Today, loupes are characterised by their low weight and the qualitative, well-crafted oculars. 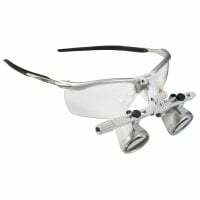 The dental loupes have a maximum depth of field and clarity over the entire field of vision and are comfortable to wear. The oculars can be individually adjusted to the pupils, while the short distance between the optics and the eyes allow for a particularly large field of vision. Temples, nose pads and both oculars can be individually set to the user's needs; thus, providing the highest possible comfort. There are various optic specifications available, depending on the needs of the dentist. HEINE Optotechnik, for example, offers binocular loupes available with high-resolution, achromatic (HR) or prismatic (HPR) optics. Furthermore, you can freely choose your optimal working distance or donning option (headband or frames). 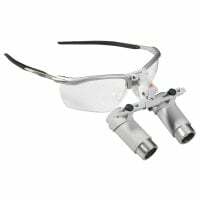 High-quality loupes with a low weight, available on frames or a headband, can be purchased from Praxisdienst at affordable prices. Are you looking for a specific product or need advice? Our customer service is available per telephone, email or live chat.